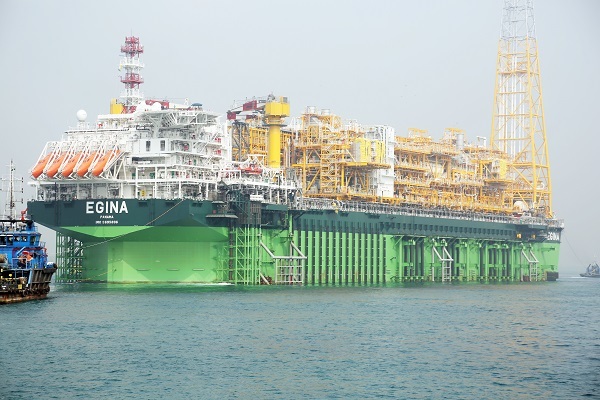 History was made today when FPSO EGINA was officially received into the safe haven of Lagos Harbour after a long ninety-day voyage from the Samsung Shipyard Heavy Industry Goeje in the Republic of South Korea. The occasion culminated in the celebration of the Federal Government’s goodwill arising from her liberalization of the Oil and Gas sector. 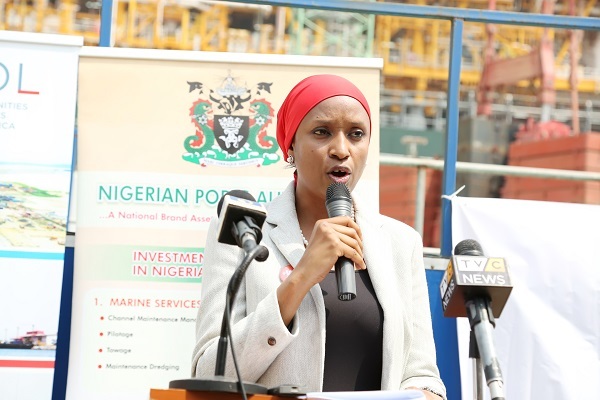 Addressing newsmen during the event, the Managing Director of the Nigerian Ports Authority (NPA), Hadiza Bala Usman assured major Stakeholders and the general public that Government would continue to provide laudable and enabling environment for the Oil and Gas activities to thrive through the Ports adding that “we promise to support the growth of trade relations by collaborative efforts with clients who aspire to land their cargoes directly at the Free Trade Zones”. According to the Managing Director, the realization of the project showcases the preparedness of the Authority at taking on greater challenges in the new vista going by the availability of top graded equipment in the areas of tug boats, safe navigable channels and the availability of highly skilled personnel amidst safe and secured environment for the ease of doing business in the nation’s territorial waters. She reiterated the commitment of the Federal Government in the area of promoting local content policy in the country in view of the numerous benefits accruable and most especially taking control of the Oil and Gas hub in Nigeria and sub-Saharan Africa. Hadiza, made these statements during the commissioning of the arrival and berthing of the Floating, Production, Storage and Off-loading (FPSO) EGINA at LADOL Free Trade Zone (FTZ) in the Lagos Harbours. She enthused that today’s event was an attestation of the readiness and improved operational efficiency of the Authority in handling vessels of any size within the Nigerian territorial waters. 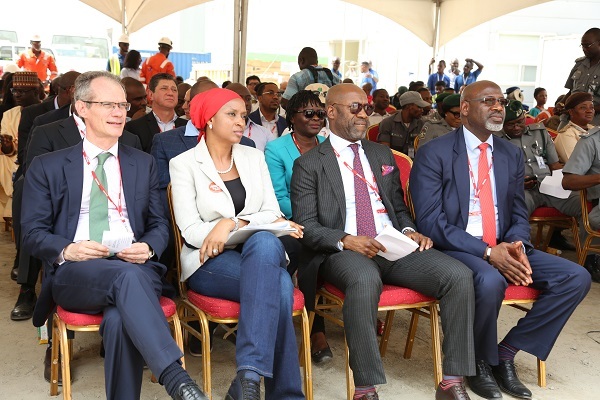 Furthermore, she informed the gathering that Management would in the coming months improve in the area of capacity building and infrastructural development with a view to providing an enabling environment for an improved customer’s efficiency in all the Ports across the nation. 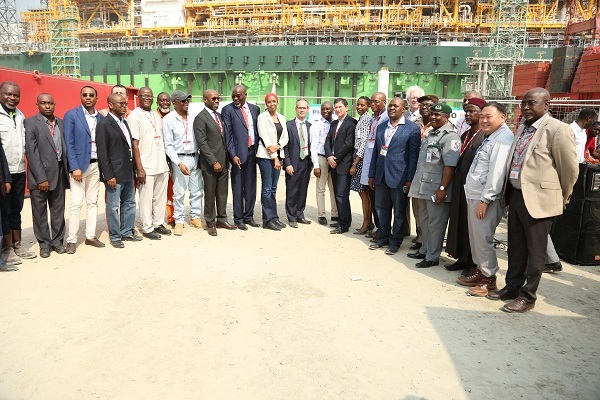 Earlier in his welcome address, the Managing Director Total Upstream Nigeria Limited, Mr. Nicholas Teraz affirmed that the arrival of EGINA was an indication of human and capacity potentials in the country with the vessel weighing over 200,000 tonnes. According to him, the arrival of EGINA would further represent a more “improved collaboration in the area of partnership commitment trust and faith” between the Management of NPA, Total and LADOL. He added that Egina which has the capacity to last 40 years under the water, had 200 crew members on board and spent exactly 3 months in its voyage to Lagos from Busan, South Korea only calling at Mauritius, and Cape Town in South Africa. Daniel, while concluding his speech, commended the Management of NPA for their solid support and the provision of logistics in the realization of the objective. Amongst other economic benefits of the realization of the FPSO EGINA project, are that it would provide the enabling environment to checkmate capital flight, encourage technological transfer and create employment opportunities much as it is a clear point of increased revenue generation to the nation.